This year long block of the month begins in September, you may join as a class or by mail. 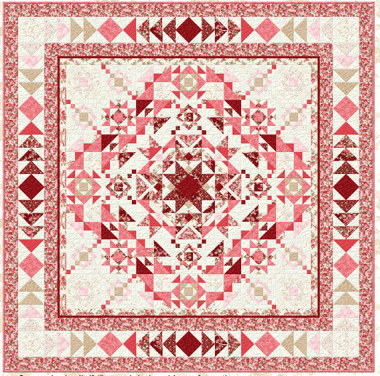 We're using Kaye England's fabric Rhapsody in Reds for our shop colors, talk to us if you'd like to pick your own shades. You must purchase both the buy in and the completer kit to participate in this program. Class is the first Saturday of the month, or the first Tuesday of the month.